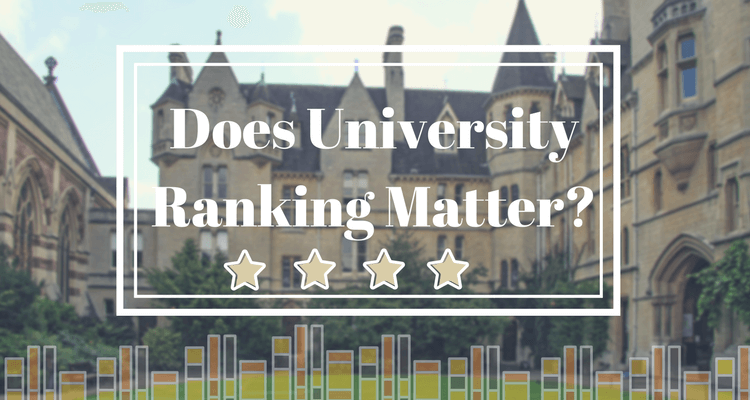 Does the University ranking really matter? According to a survey conducted by Robert Half Technology, a leading provider of IT professionals, more than 270 interviews with CIOs from Canadian companies were asked, “when evaluating a candidate for an IT position, what value do you place on the prestige of their college or university?”2 The result shows that Fifty-one percent of respondents said that they value skills and experience more than whether or not a candidate attended college or university. Another Thirty-two percent of respondents stated that they place a little weight on university prestige, and ten percent of respondents said they place a lot of weight on university prestige.2 Having a university degree from a prestigious university is a plus to top it off students’ real-world experience and skills. But if they just rely on university prestige, it won’t help them much in IT industry. No matter where students go to college, they need to have a relevant work experience when they graduate. Having a work experience is important as having a college degree. Many employers are now looking into whether or not the potential employees have relevant work experience before bringing them into their company. Senior Regional Manager of Robert Half Technology, Deborah Bottineau, said, “When recruiting top talent, IT employers prioritize a candidate’s ability to demonstrate the practical application of skills over education.”2 She explained “although a quality education establishes a foundation, applicants who have real-world IT experience are better able to transition into a role with less ramp-up time.”2 Students are advised to get involved in open source project and build up their portfolio, get involved in the community, and do an internship to gain work experience while they are still in college. It will come in handy after they graduate and get ready to find a job. Also, university rankings are not the necessary factors that influence the decision to attend university. Many Canadian parents and students often look more into the programs availability, location, tuition fees and other factors before choosing which university they would like to attend or send their kids to. Some students are willing to travel far to attend a university that offers a specific program of study. University rankings are still considered important in today’s world. But it is not the only factor that determines students’ success in their professional career. It is important that students weigh their options wisely when it comes to finding the best school that meet their needs.